Deliveroo is planning to roll out 200 ‘dark kitchens’ across Britain, Australia, the Netherlands, and Dubai before Christmas. In this article, we discuss what dark kitchens are, where the concept came from, and how they operate. We look at how dark kitchens will impact your Restaurant and we look at some responses that Restaurants are having to the dark kitchen concept. UPDATE: The Fin Review is reporting the opening of the first kitchen in Australia. 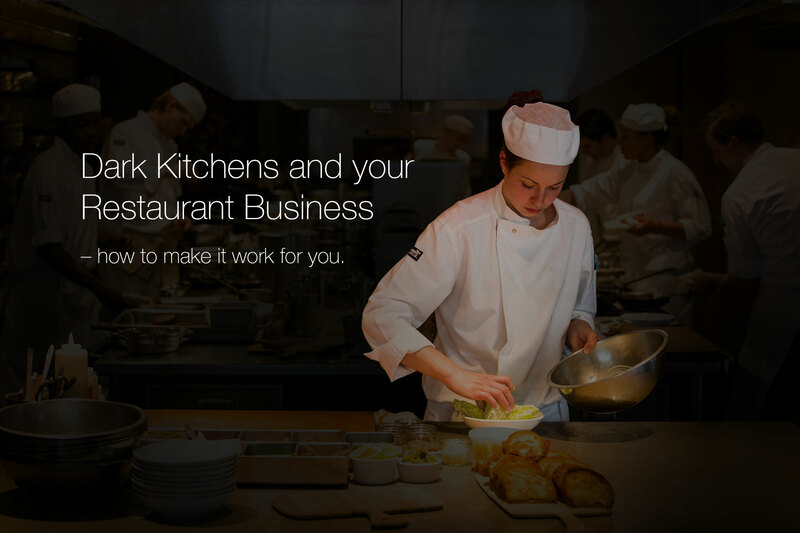 Dark kitchens are Restaurants that are built specifically for take-out. There are no tables and no FOH (front of house) staff. The marketing usually has no address and sometimes no phone number. All ordering is done online. The name has come from ‘dark stores’ which are supermarkets which have no customers, they are for online-order fulfillment only. The dark kitchen is not so much a revolution as an evolution of the Restaurant business plan. Dine-in Restaurants are always reliant on their location. Primarily there is walk-in traffic, but you can also have a ‘destination’ restaurant (e.g., a Restaurant that is popular enough to draw customers to the location). The strength of the brand denotes the distance that people are prepared to travel. Food trucks aim to solve the problem of location by being mobile. They can relocate to an area where there is a crowd. They have mobility to take the kitchen to the people and so are perfect for moving the location of the restaurant to where crowds are. The popularity of food trucks is because they can target multiple high traffic areas in a single day, moving to different events. The customers are often highly willing to purchase food especially if they are out for an event or the normal lunchtime crowd walking to get food. 1.) The ability to offer a different experience to a different audience (e.g., eating at home, with no need to worry about corkage, babysitters, and drink driving). Home delivery becomes more about convenience than ambiance. 2.) The number of tables in a restaurant is a constraint, so Restaurants where kitchen throughput is higher than table throughput are able to extract that extract value that they normally wouldn’t have been able to access, eg cooking more mains even though the dining room is full. Dark kitchens are a hybrid of the food truck and the delivery model. The kitchen is moved closer to the customer to an area with a high-density which will support delivery. It brings the supply closer to the market so that delivery is both economical and timely. Too long and the food will no longer be at the optimal temperature and the time taken in making the delivery makes it too expensive. Deliveroo’s version of dark kitchens is called Deliveroo Editions and they call the kitchens Rooboxes. It sees a location with around 8 – 10 purpose-built dark kitchens which are made available to different restaurant brands. The strategy for Deliveroo is to get on key partners, offering what we believe are significant discounts to the normal commissions that they charge. Deliveroo is potentially looking to offer Editions opportunities to Restaurants outside of their home country, enticing Restaurant owners with the ability to take their brand global. Of course, without getting the email address of customers, it is questionable how strong that brand will be and how much at risk the brand would be at, if another Restaurant looked to pay higher commission to secure a lucrative location. Is Deliveroo Editions vertical integration into the Restaurant industry? Deliveroo was valued at $2.6 billion when it raised $488 million in September to fund the roll out of Deliveroo Editions. The long-term effect of the 35% commission have been crippling for some restaurants and will inevitably mean a decrease in food quality as restaurants are forced to compete on price and will need to change portion sizes, recipes and ingredients in order to manage food costs as a percentage of revenue. We have already seen this with Menulog / Just Eat Restaurants and we expect to see this with Deliveroo and UberEats. Some of the first Restaurants have started to move away from the Deliveroo platform because of the high commissions making the costs too high to be sustainable. There are multiple stories about the problems that local councils are having with the Deliveroo Editions in the UK. Some sites have been told to suspend operations by local councils with locals complaining about noise, nuisance from the riders and waste from the kitchens piling up. Some customers have expressed concerns about being deceived that the food has not been delivered from a restaurant, but from a kitted out shipping container. They may have genuine concerns, especially if the staffing of the kitchen hasn’t been properly managed. Some Restaurants are reporting issues with the delivery riders and the way that their food is delivered to the customer. Some can take too long to deliver and may be rough with the food, decreasing the overall appearance of the food on arrival. Being low paid contractors, it can be difficult to motivate them to deliver the food in the best way possible. Are dark kitchens right for your Restaurant? Using a dark kitchen like the the ones provided by Deliveroo Editions may be right for your business, and it enables a Restaurant to scale it’s deliveries, but it is not without cost. Obviously their is the commission. Typically, Deliveroo is charging 30 – 35%, but the more insidious cost is the fact that Deliveroo does not provide customer contact emails. This enables Deliveroo to do a couple of things. Build reliance in Restaurants on Deliveroo for the marketing. Create a rich database of individual consumer’s dining preferences. 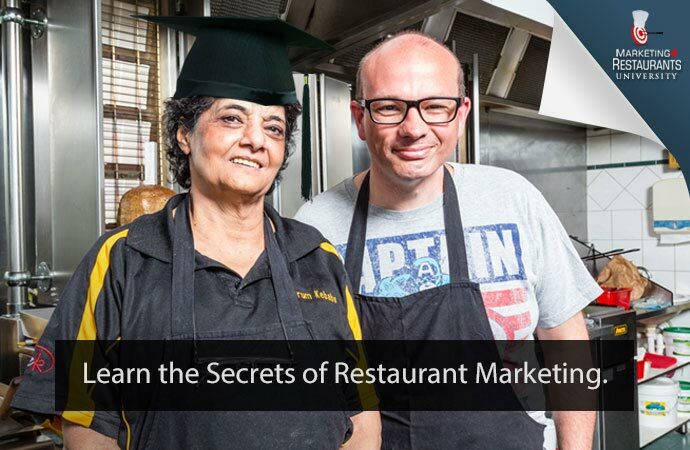 Run marketing campaigns more effectively than Restaurants. 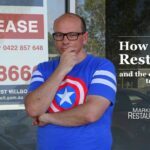 Extract higher commissions from Restaurants. We know that Deliveroo is making a lot of use of the customer data that it is hoovering up, because they talk about their ability to identify cuisines missing in an area and customer demand. This is data that individual restaurants have paid to give over to Deliveroo! Some Restaurants are struggling both with the massive commission, and with the fact that Deliveroo is appropriating their customers contact details and using them to build their business and database and not that of the Restaurant. Matt Hunter, from Pizza Religion ceased using UberEats, stating that the costs were unsustainable. Pizza Religion has developed their own online ordering app. Initially, UberEats was charging 22%, then raised it to 30% and now they are asking 35%. Pizza Religion also had to deal with customer complaints about the delivery service, which was out of their control. We are seeing a growing number of Restaurants go with their own dark kitchen solution. Kitchens in commercial areas with much cheaper rents based on decrease space requirements and no need for a retail space. This coupled with a well-run delivery team can be highly profitable for Restaurants, especially when they are building their email marketing database. For all Restaurants looking to take orders online, try the Free Restaurant OnLine Ordering system, FROLO. We now have customers in Britain, the US, and Australia who are not only enjoying commission-free ordering, but every week, their email marketing database is growing, which over time decreases their marketing costs and adds to the profitability of their businesses. This is a great alternative to Deliveroo and UberEats, especially if you are already providing delivery services. It is already used in four countries and we have Restaurants doing $10,000 a month and more with it, which means they are saving thousands of dollars every month. Another great tip that we covered in our podcast about the economics of restaurant online ordering is to drive customers to do pick-up. Domino’s Pizza are experts at this with the concept of a $5 pizza that becomes $12 when delivered with free delivery. The cost of delivery is baked into the delivery cost. The bottleneck in a traditional Restaurant is the number of tables and the bottleneck in a take out restaurant is often the number of delivery drivers, so driving consumers to pick up opens up the bottleneck and increases revenue and profits. I think the hybrid restaurant-owned dark kitchen represents a big profitability opportunity for Restaurant owners, especially if they drive customers to pick-up, in a similar fashion to the way that Domino’s Pizza does. It means that rather than shifting the bottleneck from table turns to deliveries per hour, the bottleneck is now the kitchen and a well-designed kitchen and a well-designed menu can mean very high throughput. This is essential when thinking that a take-out may do 50% of its revenue in just six hours of the week – 5:30 – 8:30 on Friday and Saturday nights. Maybe the future of dark kitchens isn’t so dark after all.